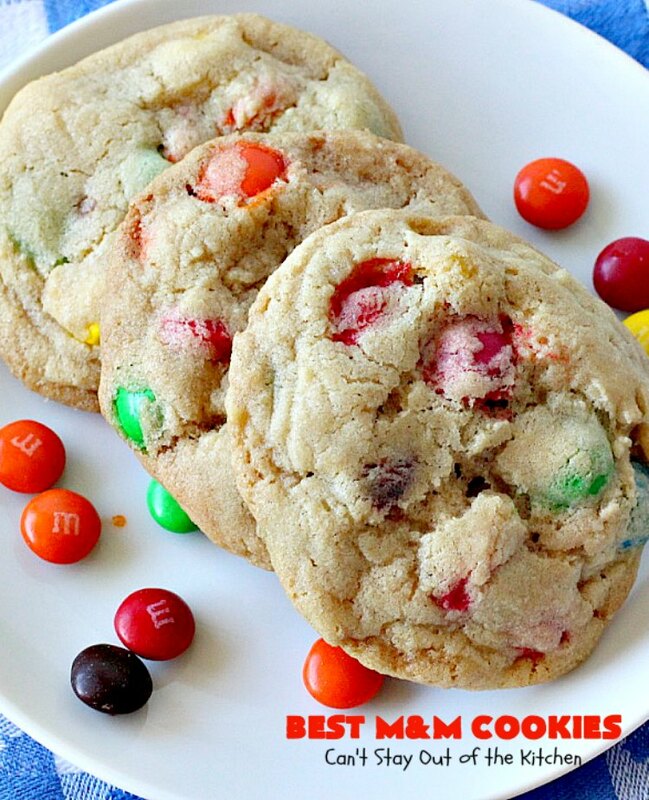 BEST M&M Cookies really are the B-E-S-T!!! These fantastic cookies start with my amazing version of Mrs. Field’s Chocolate Chip Cookies (copycat recipe) but instead of using chocolate chips, I substituted M&Ms. Oh my, they were heavenly. Back in July, our church had a Kid’s Fest at a local park. Several thousand people came through all the activities. I recruited several ladies from our church to bake homemade cookies. After being swarmed on Friday, I went home Friday night and most of Saturday and baked an additional six hundred cookies to ensure we had enough for the crowds. 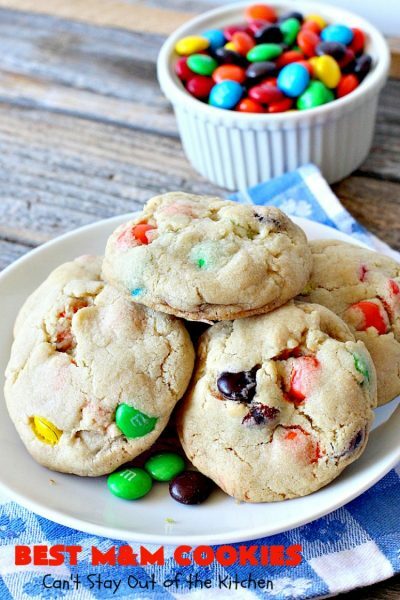 I also contacted several others to bring more cookies! Yes, they went FAST! One of those scrumptious cookies I baked were these BEST M&M Cookies. If I hadn’t been giving them away, I would have eaten an enormous amount of them. 🙂 These cookies were divine. If you need a dynamite cookie for holiday baking, baby showers, backyard BBQs, family reunions or potlucks, I highly recommend these amazing cookies. 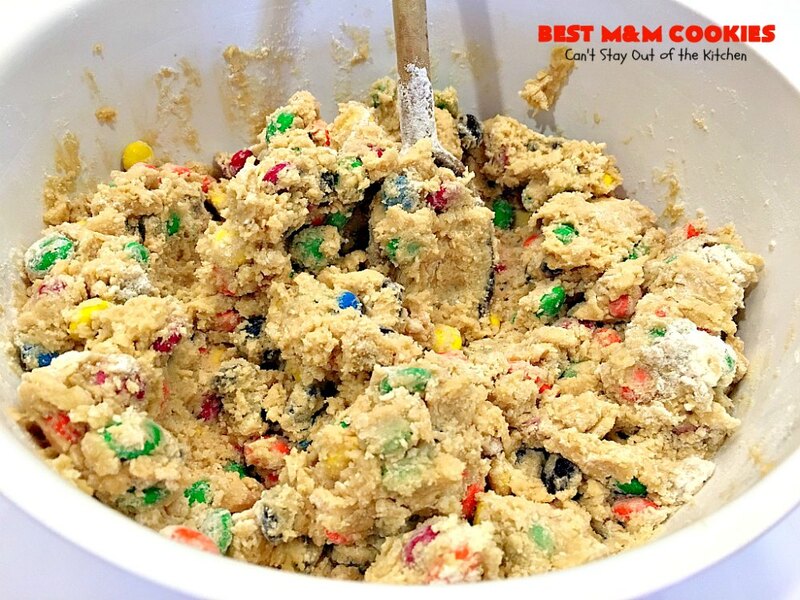 But better be prepared to make two or three batches. These go fast! BEST M&M Cookies are divine! 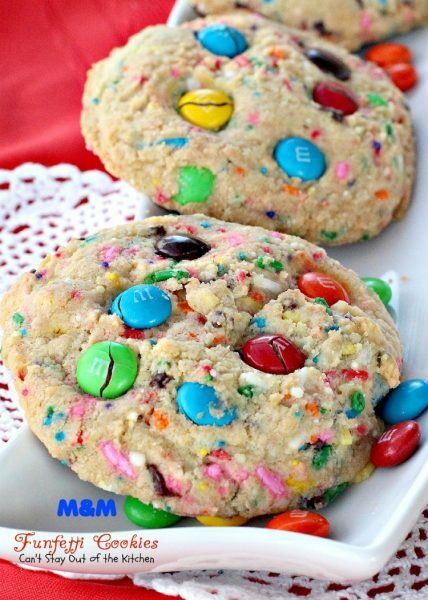 These amazing cookies start with Mrs. Field’s Chocolate Chip Cookie Copycat Recipe but use M&Ms instead. BEST M&M Cookies are great for tailgating or holiday parties. Soften butter. Add sugar, brown sugar, vanilla, eggs, baking soda, baking powder and salt. Add UNBLEACHED all-purpose flour. (Bleached flour toughens baked goods). 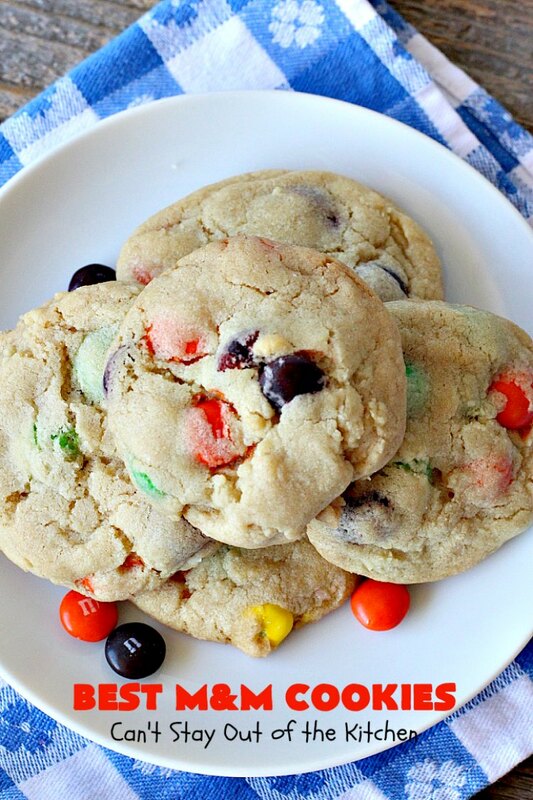 Add M&Ms. Bake cookies at 350 about 13-15 minutes or until done. 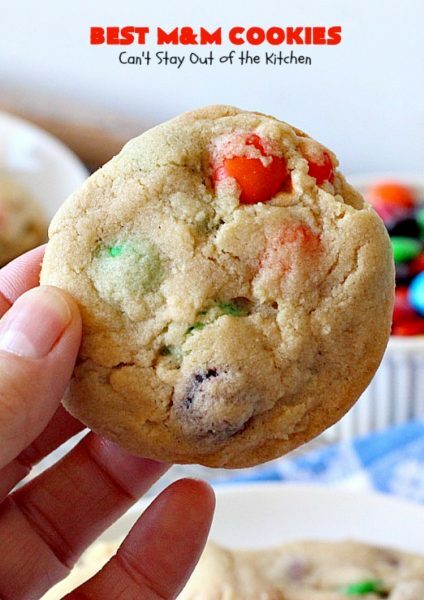 Every bite of BEST M&M Cookies will have you drooling. BEST M&M Cookies will satisfy every sweet tooth craving you have. 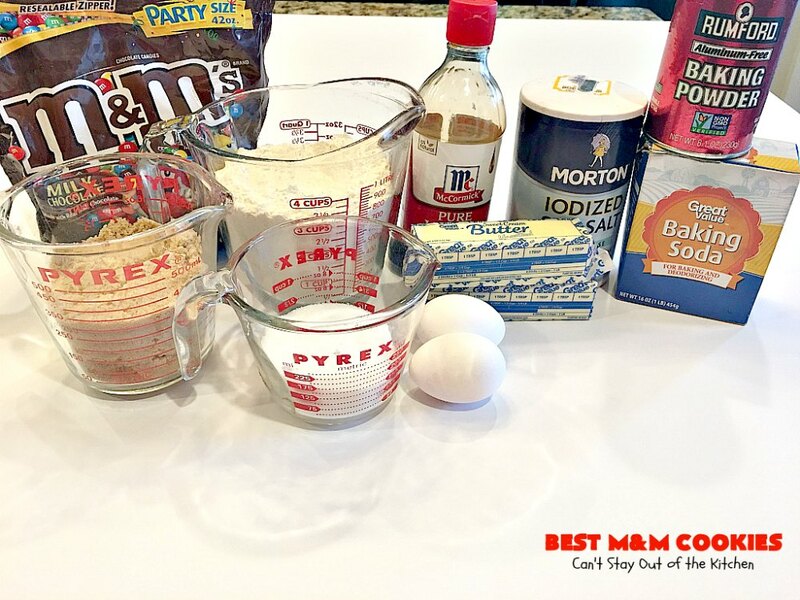 (Recipe inspired from my Mrs. Field’s Chocolate Chip Cookie Copycat Recipe). 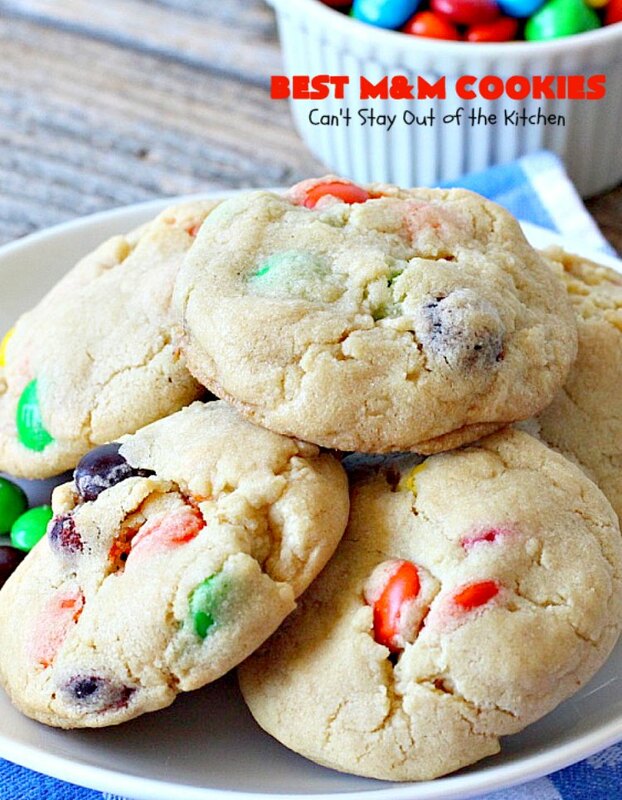 These heavenly cookies use M&M candies in a Mrs. Field's chocolate chip cookie copycat recipe. Perfect for any kind of party. 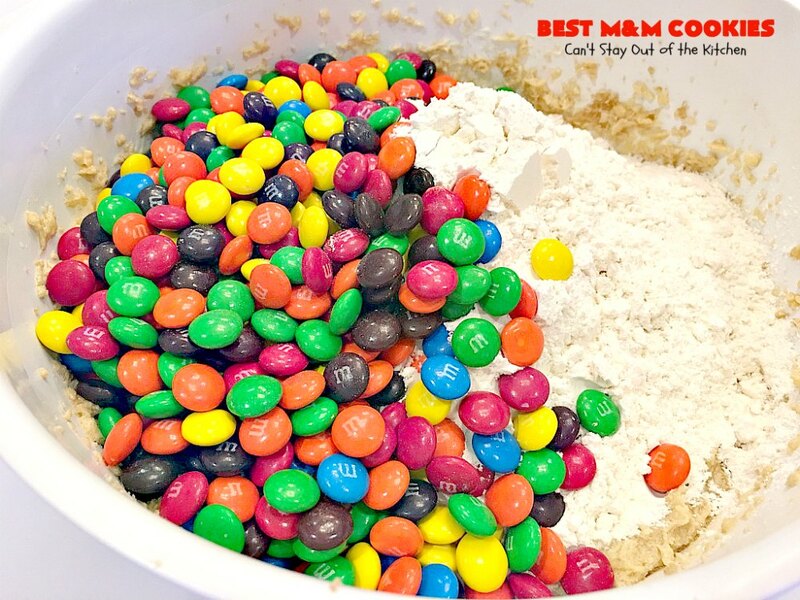 Stir in flour and M&Ms with a wooden spoon to combine. 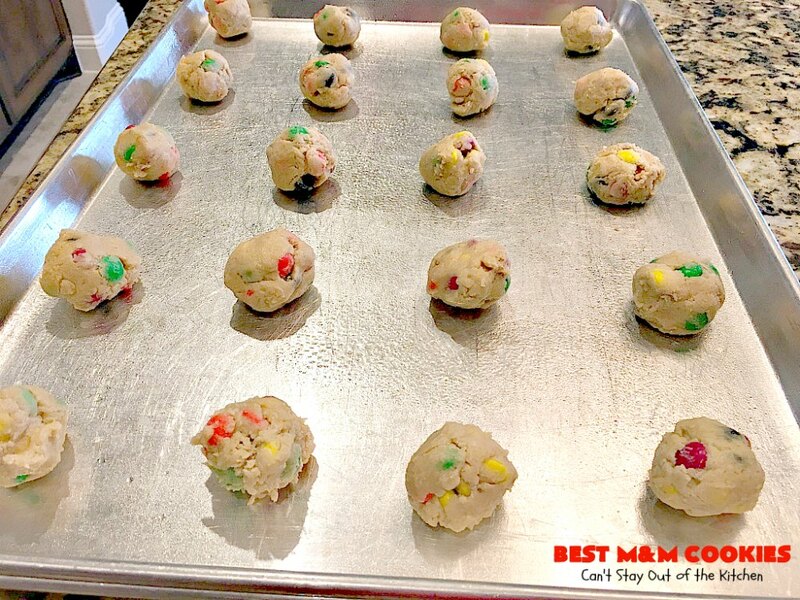 NOTE: There are times when I’m making a double batch of this recipe where I have to add an additional quarter to half cup of flour in order to be able to roll the dough into balls. 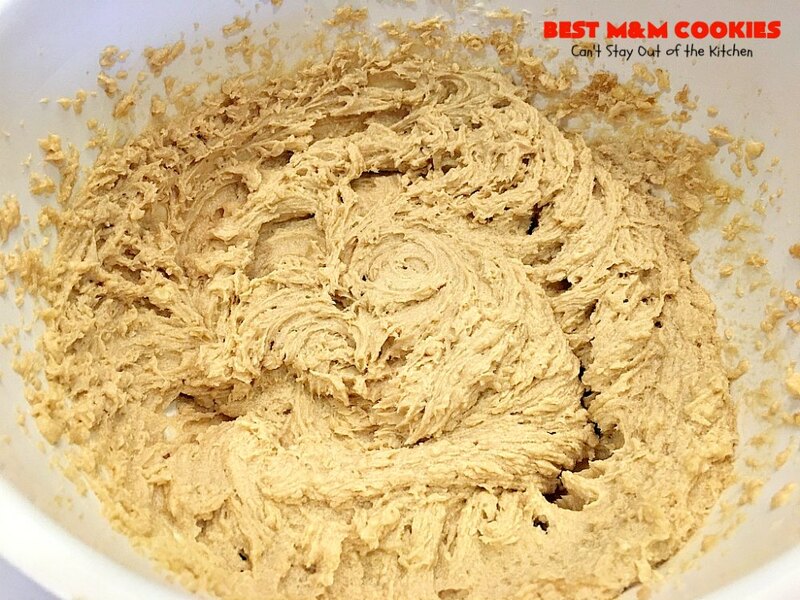 If the dough gets too sticky. 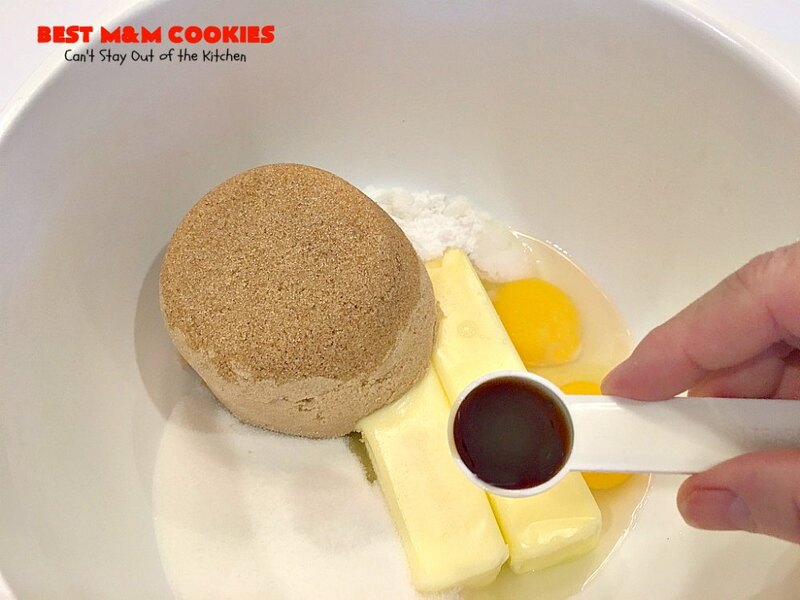 Add a little flour to the batter. 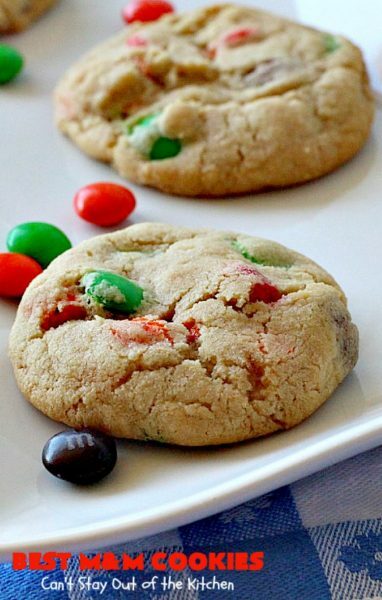 BEST M&M Cookies are perfect for Christmas Cookie Exchanges and other holiday parties. 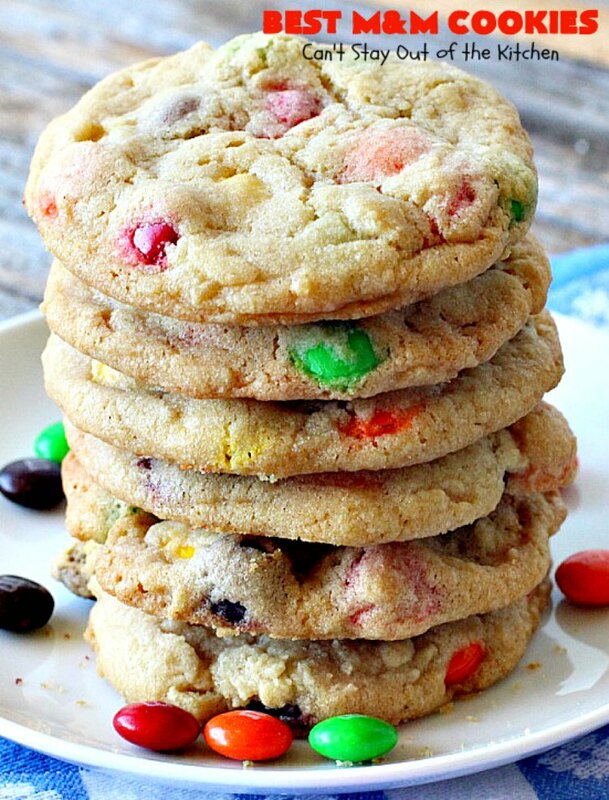 These M&M cookies are heavenly. 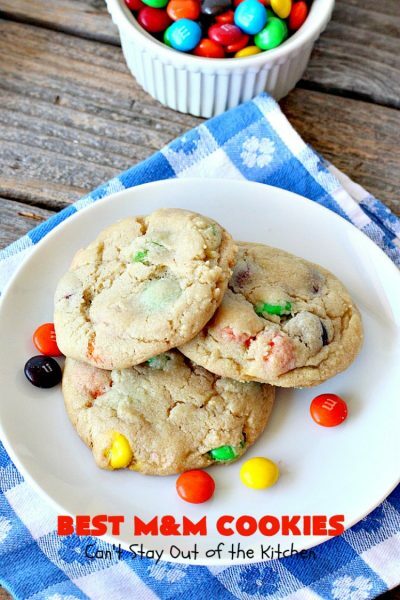 M&M lovers will adore these cookies. 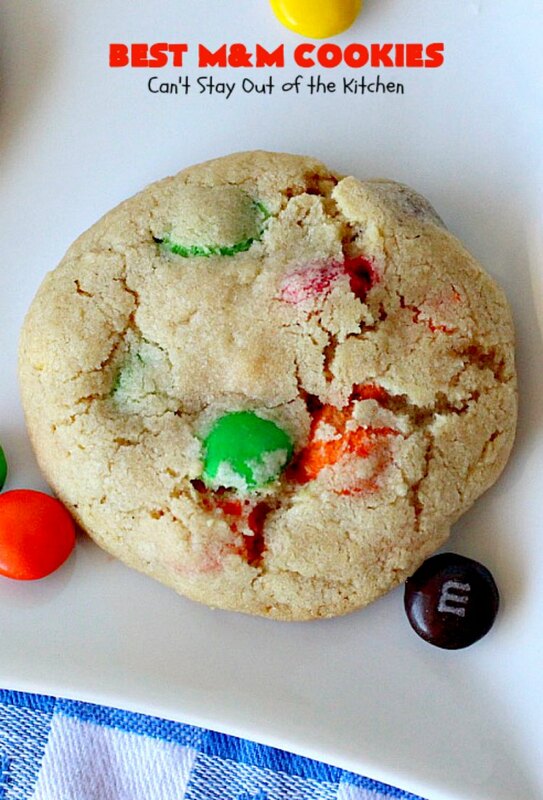 BEST M&M Cookies are always a crowd pleaser! 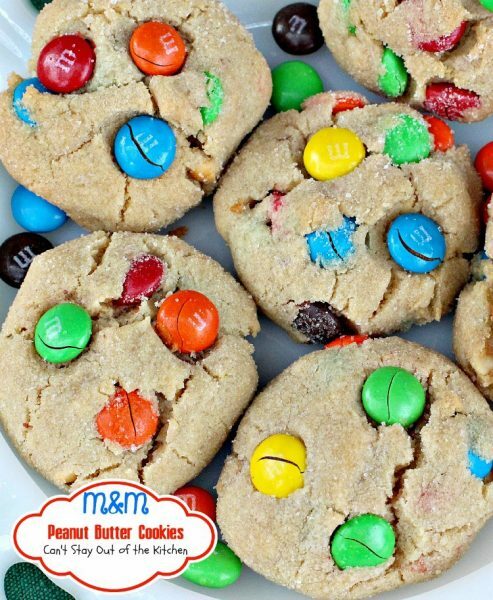 I would like to print the recipe for The Best M&M Cookies but I can’t see where it says to print and it won’t let me copy/paste. 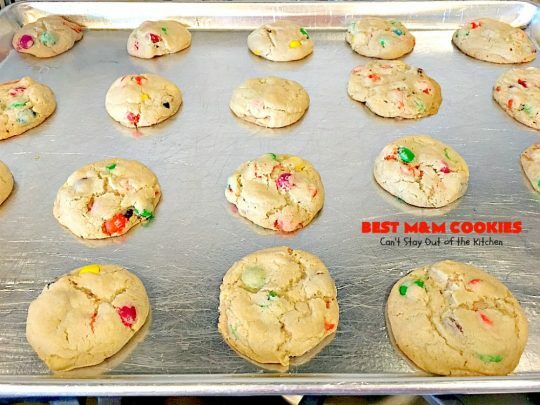 Could you help me get the recipe printed? Eunice, scroll down to the recipe card at the bottom of the post. click on the blue printer icon at the top right corner of the card. You should be able to print when you click on that icon. and THANK YOU so very much. I know I am going to love them. No worries. Hope you enjoy the recipe, Eunice.